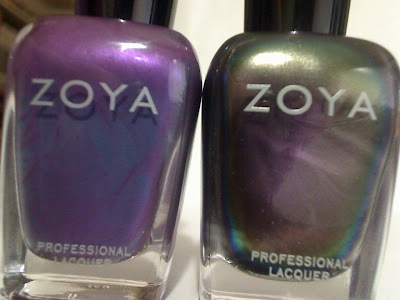 At the end of December, Zoya [official website] was having a Twitter Giveaway where you had to be in the first 10 people to RT (retweet) their messages in order to win the item. I watched that thing like a HAWK. No joke, I set my Twittelator [official website] up on my iPhone, had my echofon (formally TwitterFox) [official website] open on my Mozilla Firefox, had their actual Twitter page [official website] open and was hitting F5 like a madwoman AND I had the mobile alerts turned on so I could be sure to hit that RT button the second they posted. My madness paid off. For whatever reason, I had no idea the bottles were so BIG. The remove+ is 8 fl oz and the other 5 bottles are all 0.5 fl oz. I can't wait to try this system out and see how well it really works. 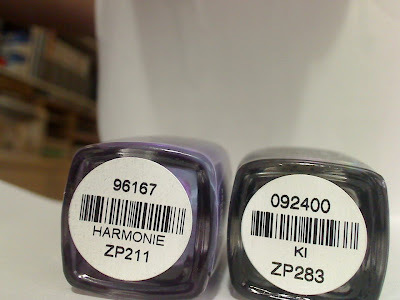 In celebration, I went to Bella Bella Hair Salon in Corpus Christi [official website] which is the only place I know of that sells Zoya, and picked up two that caught my eye. Man, please excuse all the icky pictures - I'm in a hurry to get to bed, or more likely "get my son to bed." Haha. 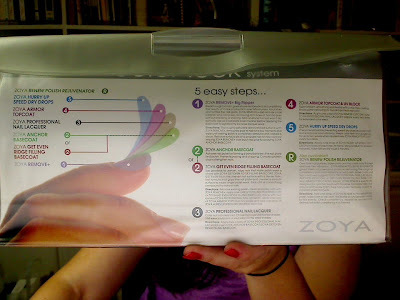 I was a little taken back by some sticker shock - on Zoya's website, you can buy the polishes for $6/piece, but at the salon they were over $7.50 once tax was added in. I'm used to my $3.50/bottle China Glaze! 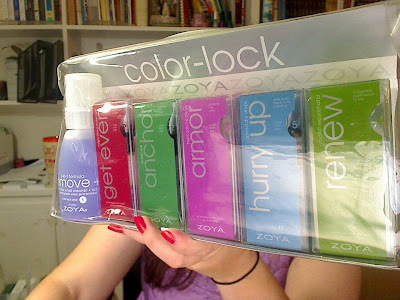 I have a few more Zoyas, all bought during Zoya's promotions - most notably Green Friday when you spent $20 or more and received 6 of their favorite greens for free. I'll blog about my results as time goes on. Disclosure: The product[s] in this post was [were] provided to me by the company because of a Twitter giveaway. For more information, please read this post. Oh my! Watching like a hawk definitely paid off. I feel a little jealousy brewing, lol. No, but seriously that's an awesome> I can't wait to see the swatches. Aww Polished! I hate to take off my Strawberry Fields but I'm eyeing the Ki so tonight might be the night! Kelly - where do you live? Can't you buy them off their website directly?